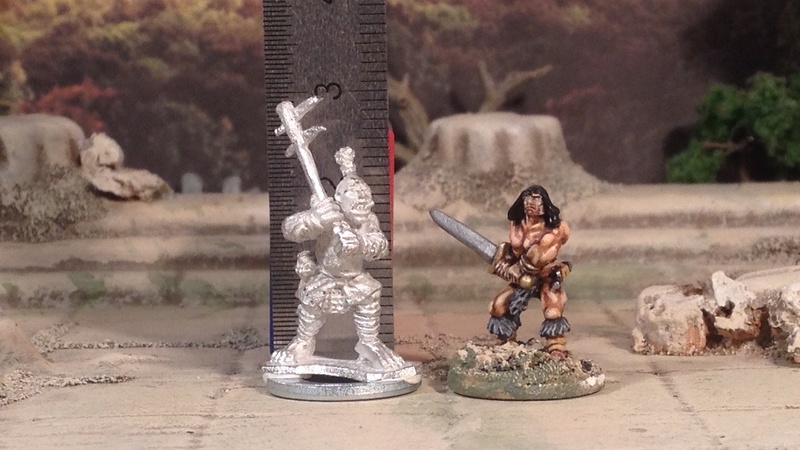 Secondly, next to a GW Warmaster ogre and troll for the 10mm gallery so you can see how they tie in with those miniatures. 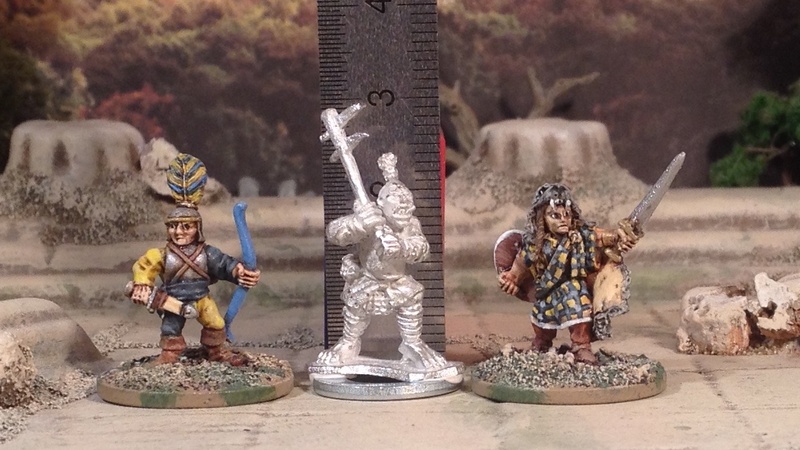 Thirdly, the 15mm comparison gallery. 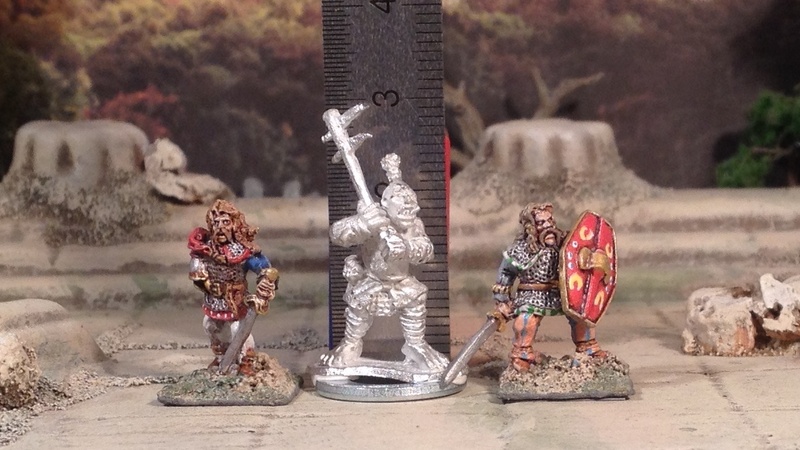 I’ve almost randomly selected a miniature from a range from a currently active or available manufacturer. 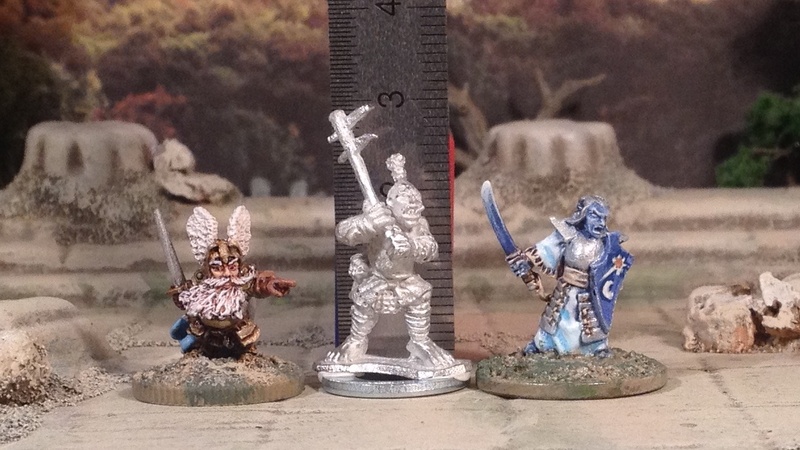 I may have missed some, so if there is a specific comparison you want, and I have a suitable mini, do let me know. 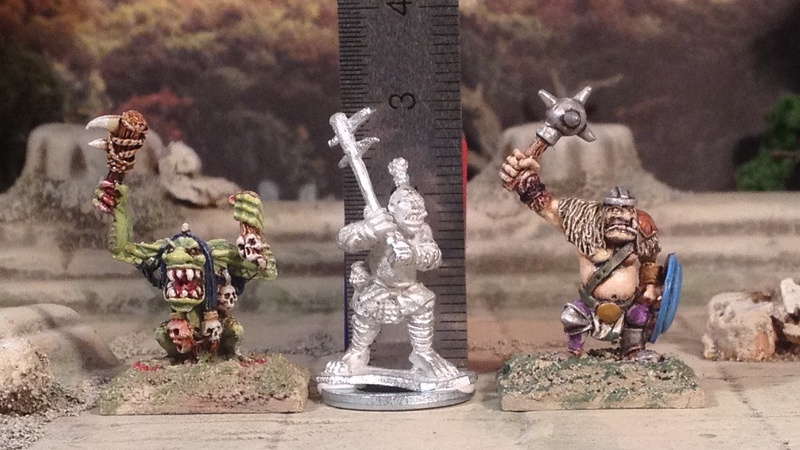 As you can see, they scale pretty well – as ‘modest’ ogres, half orcs or brute-types. 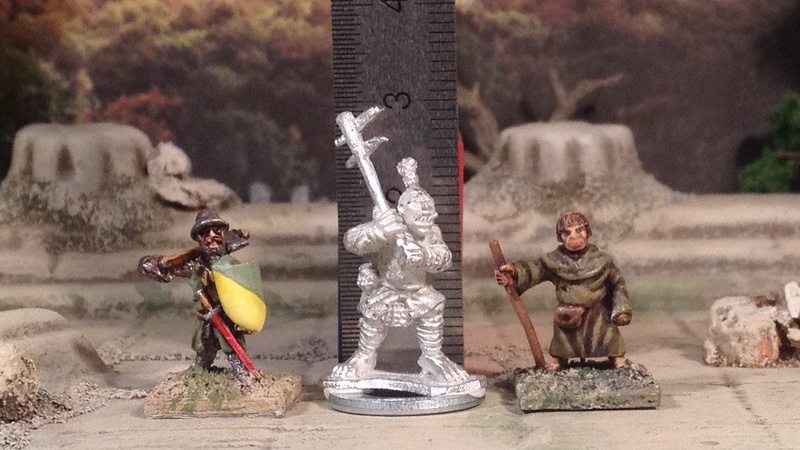 No reason to dismiss them for use in 15mm based on their marketing label of 10mm. 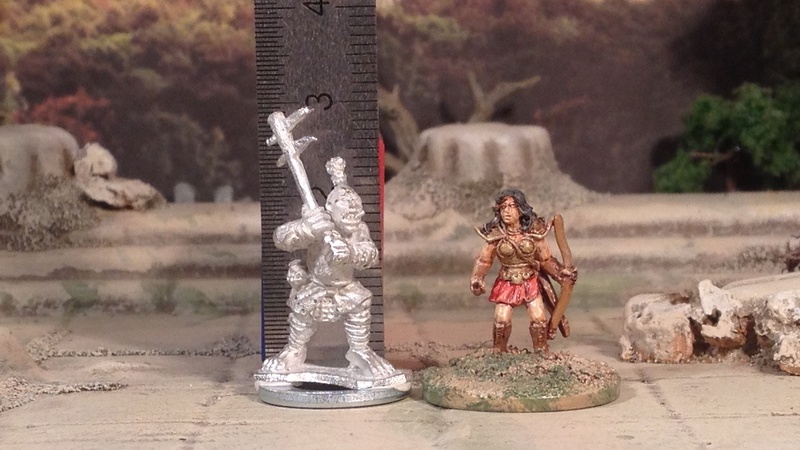 As to the miniatures themselves – well, I wouldn’t have bothered writing this post if I didn’t see them as a worthwhile addition to a 15mm Fantasy collection. 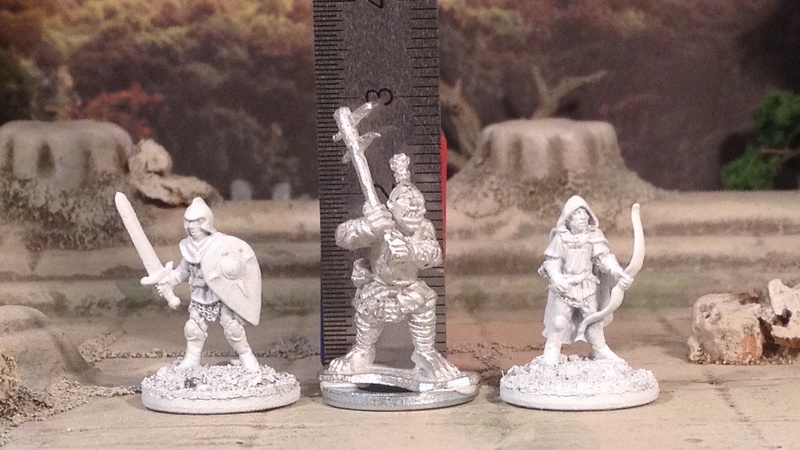 So far the Kickstarter is going to deliver over 20 different sculpts along the lines of these three shown. I’m backing them. 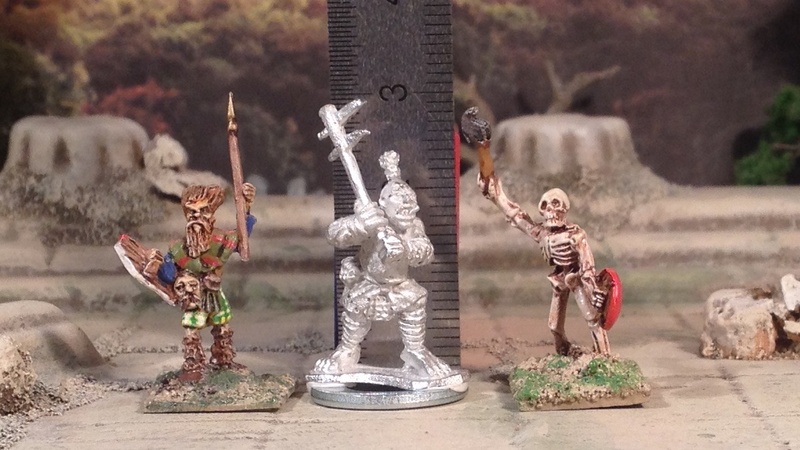 5th picture left figure. 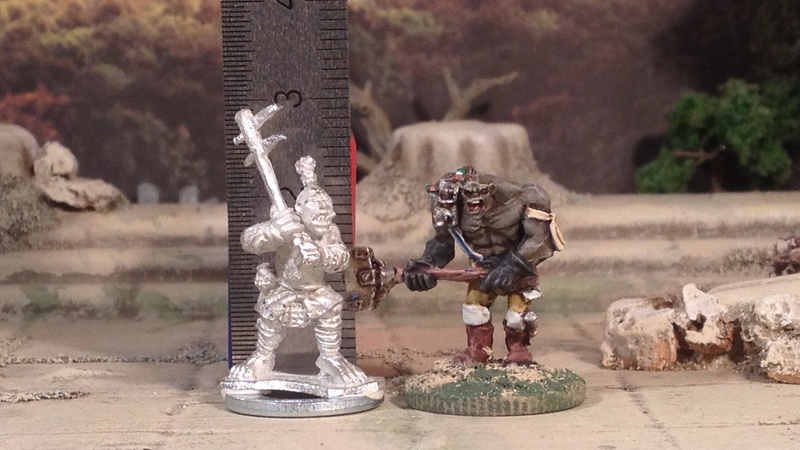 Splintered Light Ogre. 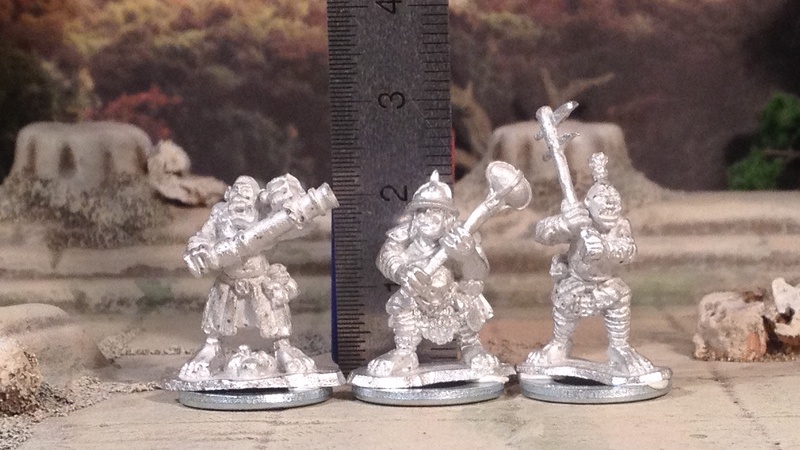 I think it was an old line David bought which was 1/72 Middle Earth Orcs of some flavor. 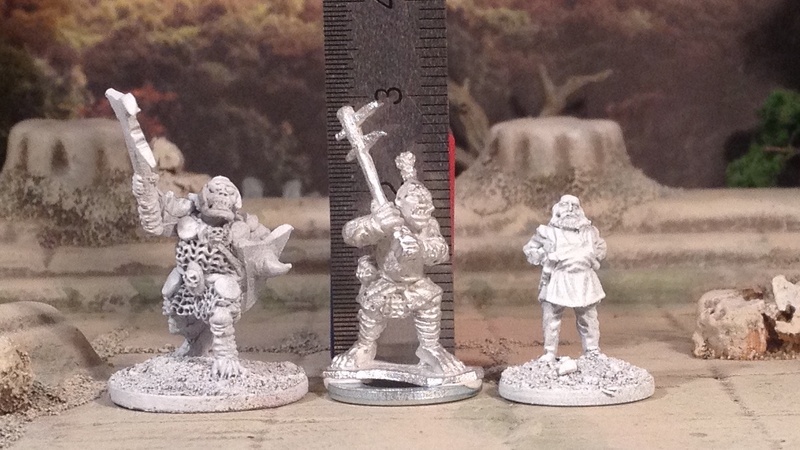 I believe the orc with the Khurasan LotR Troll come from 20mm orcs range from splintered light miniatures. 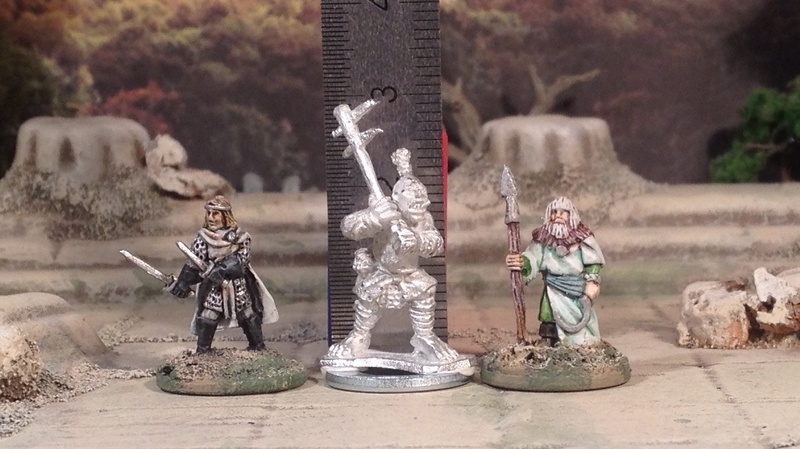 Articles like this one are great for miniatures addicts like me. 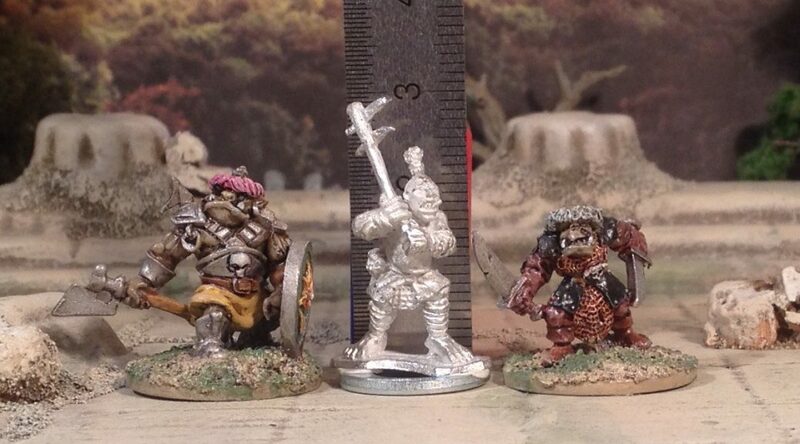 Hope to see more Battle Valor minis. 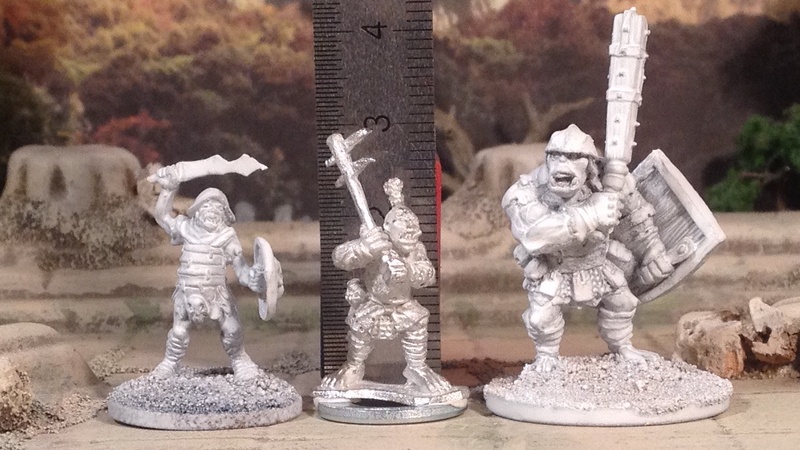 The orc warrior looks so big. My mistake. Thanks for pointing that out. I’ll corrected it above! 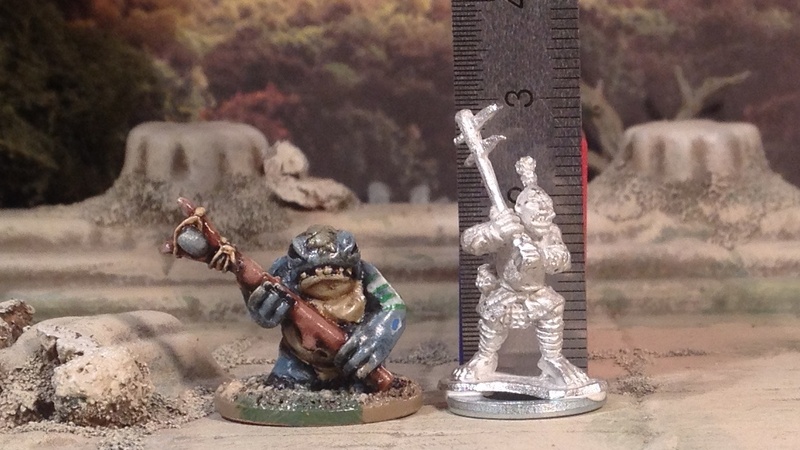 Thanks for the comparison pictures. 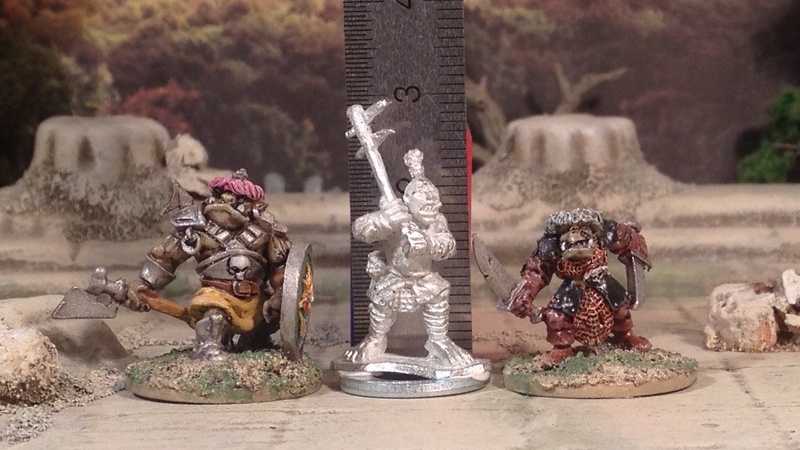 I backed the KS, and now it looks like I’ll have to get the Battle Valor orcs as well. Yes, I imagine you will. Oh well! He’s from the character pack rather than a unit leader.